"I’m only glad that those things didn’t happen under my watch as the EFCC chairman because it would have been too traumatic for me. "And that is why if I see President Jonathan today, I will kneel down to thank him for the honour done me by removing me as the EFCC chairman at the time he did". 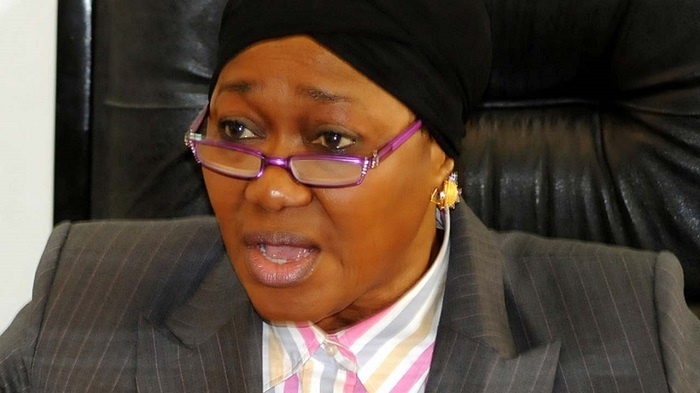 A former Chairman of the Economic and Financial Crimes Commission, Farida Waziri, said this while ongoing revelation of alleged grand corruption that took place under former President Jonathan’s administration. Waziri said the EFCC under Jonathan was not given a free hand to operate, adding that she got the first indication of it during the probe of the fuel subsidy scam. She said it was her refusal to back down from the probe of one of the masterminds of the fuel subsidy scam that earned her a dismissal by Jonathan. A statement signed by Femi Babafemi on her behalf on Sunday quoted the ex-EFCC boss as saying this during an interaction with journalists in Lagos. She was said to have been asked to react to the revelation about the alleged grand sleaze that took place under Jonathan’s watch. Waziri stated, "My first strong premonition of what was ahead was when I began the probe of the monumental oil subsidy fraud going on then. She said the acting Chairman of the EFCC, Ibrahim Magu, was lucky to have the personal support of President Muhammadu Buhari.